Peanuts Gang Charlie Brown Snoopy toy vtg united feature Schulz 1966 boy scouts – $80. Find it on eBay (affiliate links). After you’ve figured out those tricky rings, you can graduate to the Stack-Up Snoopy Toy. Snoopy was made by Romper Room in 1980. The hat pops off and all of Snoopy’s six pieces will come off the pole attached to his feet. The difficult part is making sure all his pieces are turned the correct way. Finding these in perfect condition is tricky. After the brutal play of young children, the Stack-Up Snoopy Toy is usually dirty and missing paint. Through the years, the toy can yellow, especially the glue on the edges at the joints of the plastic pieces. Luckily, the red collar and green hat are molded in colored plastic, so these pieces are usually in decent shape. Surprisingly, I see these complete more often than not. The whole toy sticks together very well when not being used for stacking purposes. How much is a Stack-Up Snoopy Toy worth? In played-with condition, like this one, expect to spend around $10-20 for a Stack-Up Snoopy Toy. Originally, this piece would have come in a box. For a mint condition example with little signs of age, complete with the box, I would expect to pay $35-50. Box condition counts, too! More Peanuts Toys to Explore! 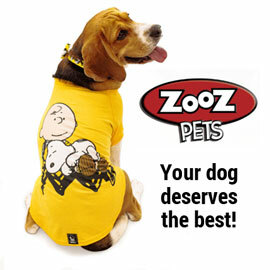 Shop our online store for related Peanuts Toys for sale and help support this site. Plus, discover more Snoopy Toys in our online collection gallery.